From the editor: The following is a portion of a transcript from an interview with Dr. Christian Hilchey, which was originally published in COERLL’s newsletter. Dr. Hilchey explains how to search for and get inspired by openly licensed authentic videos. We use films. We use songs. But oftentimes, we can’t share those because they are copyrighted. I started finding these excellent videos by conducting searches for open content on YouTube. I would go to YouTube and search for content under an open Creative Commons license. Unfortunately, some key words weren’t working for me at all. Finally, the best key word that I stumbled upon was “vlogs” (video blogs). And then I combined the key word “vlog” with another word like “Christmas.” So, “vlog Christmas” or “vlog zoo” or “vlog vacation.” And I found that there were a lot of people posting vlogs and that they weren’t a one-off kind of thing. Typically, the kind of person who was posting a vlog was… writing several dozen about their personal experiences. So, what I found helpful was to go to specific users themselves to find the richest content. Once I found a good vlog series, I would search through it like an archive. It really was as simple as that. But the key was to find the right vlog. At that point, it was looking for patterns in the archive. What kinds of videos were they posting? How did they title their videos? So it was really about finding that rabbit hole that previously was unknown to me. But once I found it, I was amazed by all the good content and was able to mine it quite easily. It changed things for me overnight. I went from having no open video content to having a surplus of really excellent materials to choose from. Take an early chapter in a first year program. You are probably teaching [students] to name items. So, the focus is on nouns. If you start to look around, you will notice that people are naming things in real life. So, for example, I found a lot of videos where people give tours of their homes. And during the tour, they name items: “This is my television. And this is a chair I bought at the flea market.” Utterly mundane but really useful for language learning. Another example of a really great video I stumbled upon was a trip to the zoo. A Czech family visits the zoo and they point out and name all the different animals. The content was interesting and fun and it was perfect for learning animal names. Again, this was not something I was planning. But when I found it, I knew that it could be the basis of a lesson. I hadn’t thought about taking my students on a trip to the zoo, but why not? There are some very large zoos in the Czech Republic! It is not normative or typical to discuss Czech zoos. But they certainly exist. You do have to watch and to listen to these videos. Sometimes, I will immediately dismiss a clip because the audio is bad or the video is sub par. Although… the fact that someone isn’t looking perfectly into the camera and isn’t wearing a mike often makes the video more real. I am trying to balance the issues that come with lower production values with the advantages of extemporaneous content. I remember the textbooks I used when learning Czech and we would mock the videos: “Don’t these actors sound silly!” Whereas, in these videos, the people don’t sound silly, they just sound real. Read the full interview in COERLL’s Fall 2016 newsletter, “Searching for FL Content for an Open World”. Christian Hilchey is a lecturer in the Department of Slavic and Eurasian Studies at the University of Texas at Austin, and the author of “Reality Czech”, a full curriculum of open language materials for introductory Czech. Authentic resources are essential for language teaching and when they are open – by carrying a Creative Commons or other open license, as opposed to a copyright – they present even more opportunities. On a practical level, if anything you do with copyrighted material ever leaves the walls of your classroom, you could potentially get in legal trouble. But in addition to that, if you ever share the lessons you create using authentic resources with colleagues, your use of openly licensed materials will allow them to make their own modifications and copies of your work. We recently surveyed some language teachers and faculty about their techniques for searching for authentic resources, and most of their great ideas revolved around copyrighted materials. This makes perfect sense: copyright is pervasive, and materials with a copyright are easier to find and often more polished. But we hope that little by little, authors and creators will learn to change how they use outside sources and publish their own work, with licenses that give credit to the author and access to all. Being flexible on search terms and going into my searches with an open mind often help me find resources that I would not have conceived of that are relevant and interesting. Another important aspect to finding open authentic resources is other people. It probably seems obvious that other teachers can help via social media, word of mouth, professional organizations, or blogs. But librarians may also be able to help; even without language knowledge they should understand licensing and online resources. You can also enlist students to search for resources. It teaches them digital citizenship, gives you an idea of what they’re interested in, and generates a whole stash of materials in a short period of time. I would encourage educators to use more materials obtained by themselves. You don’t need to travel: you can find materials in other languages in practically any city. Those pictures of graffiti, menus, brochures, etc., have a story, a connection to you, and because of that they will be much more interesting for your students than most things you can find online. Or, you can follow German teacher Anke Sanders’ advice and get creative to make your own pictures, audio, or video. If you do make your own creations, remember that putting a license on them will allow others to benefit! If you do need to use copyrighted materials (which includes anything with a ©, AND anything not labeled with a license), make sure you know the rules of fair use, and if you are having trouble staying within those boundaries, it is legal for you to link to copyrighted resources from your lessons, as long as the resource itself isn’t included in your creation. It can even be a good idea to try contacting the copyright owner for permission to use their content. Whether it is an article about hot air balloons in Québec, a website about being green in Costa Rica, a video about the whistling language of the Canary islands, a video of middle school students talking about their vacation plans in French, or a video about traditional medicine in Spanish, there is a wealth of knowledge out there! Read more about ideas for searching in our newsletter article and please add any ideas for openly licensed authentic resources in the comments below. You can search specifically for open content on Google and YouTube. Learn more in our newsletter article. Our presentation at this year’s AAAL conference highlighted several findings from a survey distributed to 155 university-level language program directors (LPDs). The study provides a snapshot of the progress of open education in the field of language learning in the United States. In one section of the survey, we asked LPDs questions about whether or not they had considered the library as a resource to support development and use of open educational resources (OER) in their foreign language (FL) programs. Seventy-three percent of respondents indicated that they had not considered the university library as a resource. This particular finding underscores the need for increased collaboration between LPDs and their institution’s library/librarians. This unique cross-disciplinary relationship will be key to the ongoing proliferation and incorporation of OER materials and tools in FL education. University libraries are, at their very core, diverse knowledge ecosystems that provide a wide range of services and materials to the university at large. With respect to FL education, librarians can be vital partners in the process of encouraging FL faculty to incorporate OER in their courses. These information professionals excel in areas of evaluation, location, and organization, and each of these topics represents an area critical to the widespread adoption of OER. We have only scratched the surface of the potential of OER and the benefits of collaboration between librarians and the disciplines. Some interesting examples are out there: UMass Amherst Libraries; Open Textbook Library (University of Minnesota); PDX Open (Portland State University); and Open Course Library (Washington Community & Technical College). However, as you see in these examples, foreign languages are underrepresented. The bright side of this is that we are at a moment of exciting opportunity and potential. Successful libraries are always evaluating the services they provide and asking what they can do to better serve their constituents—students, faculty, and staff, and in our current environment a crucial part of the answer to that question for all of these user groups is “embrace open!” This is a common thread within the OER movement in that it is, at some level, about improving the learning experience for students. We all know about the economic reasons for embracing OER, but the benefits of OER go far beyond the economics. Open educational resources can add authenticity and vitality to the foreign language classroom and create an environment where both students and faculty are more engaged participants. Becky Thoms is the Scholarly Communication and Copyright Librarian at Merrill-Cazier Library at Utah State University. She manages USU’s Institutional Repository and provides education and outreach services related to intellectual property, scholarly communication, and all things open. The third annual Open Education Week celebration is underway this week, March 10th – 15th. The event is organized by the Open CourseWare Consortium, and serves as an opportunity for the global community of open education practitioners, educators, and creators to raise awareness about the movement and demonstrate the impact open resources and open practices have on teaching and learning throughout the world. The Open Education Week website acts as landing page for a wide variety of events, resources, and other information about Open Education. Spend a bit of time on the site to find an events taking place around the world, including free online webinars, locally hosted events, conferences, and even online discussions and forums. Over the next week (and beyond), we are eager to begin uncovering all the amazing resources within the Open Education Week website. We certainly encourage you to do the same and look forward to hearing from you about your participation in Open Education Week – especially about which resources you found helpful or inspirational. 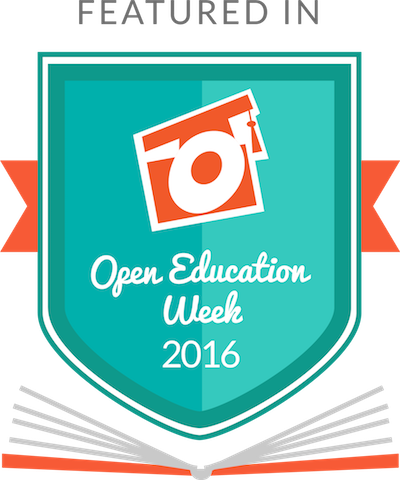 Visit http://www.openeducationweek.org for more information about the week and events happening in your area. Last week, COERLL had the pleasure of being invited by the Region XIII Education Service Center to present on our work at the Languages Other Than English Institute 2014, held here in Austin, TX. This year, the Institute focused on “Celebrating Our Global Learners,” with sessions like Culturally Responsive Teaching in the LOTE Classroom (Tina Dong – Austin ISD) and Strategies and Steps in Differentiation: Blended and Flipped Classrooms (Sheila Jordan – Round Rock ISD). Our first session, Open Educational Resources for Language Learning, introduced educators to the wide variety of foreign language Open Educational Resources available through COERLL and from a variety of online referral websites like OER Commons, MERLOT, Language Box, Jorum, etc. Our second session, SpinTX – Bringing Authentic Spanish Videos into the Classroom, provided a more in depth look at SpinTX – a website created here at COERLL featuring authentic heritage spanish videos for language learning. It is always a pleasure to meet and speak with teachers directly about their needs and to hear more about the challenges in finding “the right” materials for teaching. We are always curious to know more about what teachers need in order to be effective in their teaching – whether it is finding high quality and applicable teaching materials to supplement or accompany a textbook, learning how to effectively use various technologies and web tools to create materials, or just discovering a forum to speak with others about their experiences and interests. Understandably, it is difficult to sometimes know where to start. S0, we encourage you to check out our recent talk from the LOTE Institute here and if you have any questions about the websites and resources mentioned or have suggestions of other great content, please get in touch! And, if you’re specifically interested in SpinTX, be sure to check out the new Lesson Ideas page on the SpinTX website. Have you ever wondered about those students who are learning foreign languages on iTunes? There are over 600 free language learning collections on iTunes. People are using them. What do you know about these students? Earlier this year, I presented a paper at the e-Learning Symposium in Southampton University in the UK about the iTunes U language learner. I wanted to share the results with you. The findings show that most iTunes U learners have quite a different profile compared to university learners: from their age and gender to their occupation and motivations for accessing iTunes U language resources. Before watching, think about who you think the iTunes U language learner is. Mostly male? Mostly female? How old? What do they do? Do they listen on mobile devices or on their home computers? Do they think they are learning by engaging with the language resources they download from iTunes U? And what implications do the answers to these questions have for the design and implementation of iTunes U resources from your own institution? How do your answers to the questions above compare with the actual results? Feel free to comment on your impressions and implications for teaching and learning through iTunes U.
Fernando Rosell-Aguilar is a lecturer in Spanish and coordinator of iTunes U content for the Department of Languages at the Open University, UK. 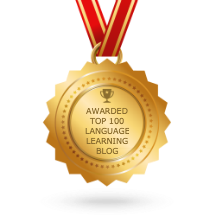 Read more about open language learning on iTunes.